Who can resist a mysterious box of Girl Scout Cookies left on our communal table? Apparently nobody in this office. The box was quickly devoured, and I managed to score a piece. 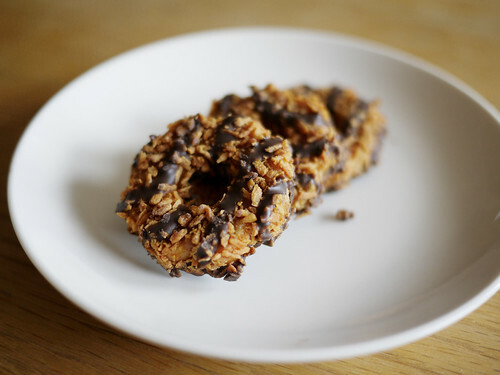 Samoas are definitely one of my favorites probably after thin mints, but really, they are so different, it's hard to compare. With a quick search online, I come across many homemade samoa recipes. Very tempted to try one. They kind of look to labor intensive right?